(JTA) — When my husband and I married, neither of us fully appreciated the role community would play in our family’s life. It proved to be a most crucial component in creating and forging a Jewish household and in passing on our traditions. A life lived according to halachah (Jewish law), needs a community. In Orthodox families, kids grow up seeing themselves as part of a much larger whole. As our children grew up, we were comfortably ensconced in our shul. Then, about 18 years ago, our younger daughter told me she was gay. She was in her last year of college and in a relationship with a young woman who was also from an observant home. Trembling in my arms, she begged me not to tell her father, and tearfully asked if I wanted her out of our home. She had packed her bags and was prepared to leave. I calmed her as best I could, and tried to push away the questions, fears and thoughts swirling through my own head. Initially I kept her news from my husband, as she had requested, and cast about for someone I could turn to for advice. In 1998, I knew that Orthodox parents of gay children were marginalized. I didn’t want that to happen to my daughter and our family. Who could I talk to? When I finally shared the news with my husband, we both agreed the answer was obvious: nobody! My friends? How would they react? How would I tell them, and what would they say? Would they still be our friends? I could imagine each one thanking God that it wasn’t her child. The rabbi? A crazy idea! Even today, according to a first-ever survey conducted by Eshel, Orthodox parents of LGBT children report that only 9 percent go to their rabbi first for guidance — an astonishingly low number and sad statistic for a group whose members routinely seek counsel from their spiritual leader. Several years earlier our older son became seriously ill. It was then we saw the strength of community. There were days we arrived at his bedside in the ICU to find community members saying tehillim (psalms) for him and his recovery. We were constantly surrounded by friends and family. Somehow we made it through the terror of it all. We received absolute love and support from the entire community. That wasn’t the case when our daughter came out. Those early years were lonely. We did not know another Orthodox family who was in the same situation. Admittedly, that isolation was self-imposed, which is still true today for most parents before they come out. Silence and rejection might have been acceptable in the past, but not now. Rabbis must learn how to minister to all of their congregants, including their LGBTmembers and their families. Every congregation, day school or community has families who are dealing with this issue. Our leaders must convey their readiness to engage in conversations and be educated so they can offer support and resources. For our children the rejection is all too real. The Eshel parent survey reveals that 60 percent of our children have left the Orthodox community or no longer attend any shul. For traditional parents, synagogue and community rejection can be the most painful part of the coming-out process. When the community no longer makes space for your child, ­what is there to belong to and why? But change is coming. 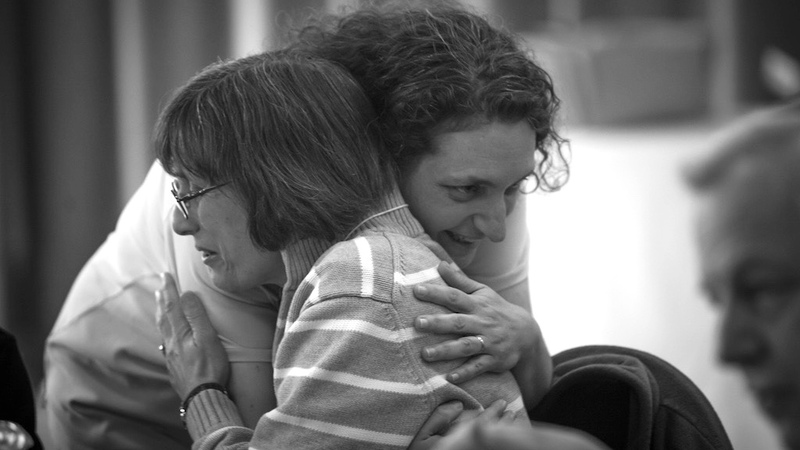 Eshel, an organization with a mission to create community and acceptance for LGBT Jews and their families in Orthodox communities, holds an annual parent retreat. This year’s retreat, from May 13 to 15 in Copake, New York, features the theme Community. Through Eshel events, phone support groups and the annual retreat, parents with LGBT children can have a community. Eventually we did tell our rabbi about our daughter. We were not seeking approval nor guidance; with the help of time we were beyond that. We did not ask for advice, and none was offered. To his credit he has become more knowledgeable and open. Recently he spoke about the topic to the entire shul. Like 70 percent of parents surveyed, my husband and I are cautiously optimistic about the future for ongoing change in Orthodoxy. Change takes time. Our rabbi has embraced what seems to be an attitudinal shift. We know of communities that are welcoming, respectful and inclusive. And we know there are rabbis and communities who are beginning the learning process. As Orthodox parents, we appreciate the complexity of the issue, perhaps more profoundly than even the most learned in our communities. We understand that we cannot rewrite Leviticus 18:22, but we can reconsider its implications. We can work to change our community’s attitudes. This change can only begin to happen with the courage of our leaders. The conversation must begin in our shuls and schools. All of our children, LGBT or straight, deserve to be respected. After all, aren’t we are all created “b’tzelem elokim,” in God’s image? The writer is a mother and grandmother and member of Eshel’s parents’ group. For more information about Eshel or the upcoming parent retreat, please visit the Eshel website.